Back for episode 2 of Kramer Korner, my very special guest for the evening is Phoenix van der Weyden, a new Kramer Guitars artist and popular YouTuber. Phoenix’s YouTube channel is loaded with tricks and lessons, and full of tributes to many of our mutual guitar heroes. 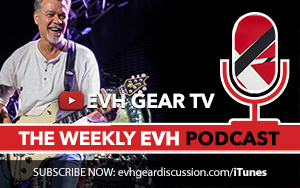 We’ll chat about her new addition to the Kramer Guitars artist family, mutual love of Eddie Van Halen, some live performances and much more!